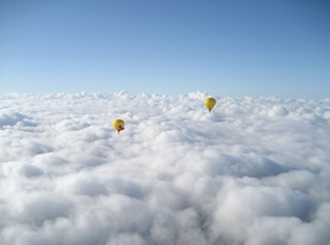 3.To say "I love you"
Would you like to enjoy the peacefull atmosphere of a balloon and share an unforgettable and private moment with the one you love, your family or a group of friends? Your pilot will be so discreet you'll forget about him until you gently go back on earth! Our private flights for two or for 3,4,5 or 6 guests are the perfect occasion to tell the ones you care about how you appreciate them. 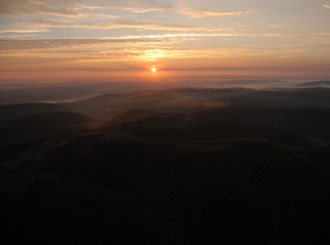 The amazing heritage Dordogne offers becomes surreal from above...Far from the city noise and crowds, you'll rediscover a colorful and surprising world of rivers, castles and nature. 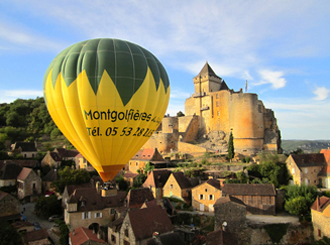 Living in Dordogne is special, coming here to recharge one's battery is such an opportunity but floating above it onboard a balloon is pure magic! 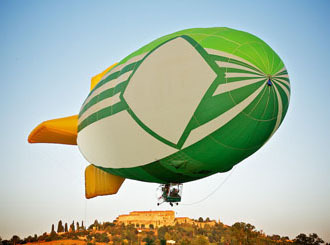 It is once drifting away on your very own balloon, you'll realize how lucky you are to have selected our Private flight. 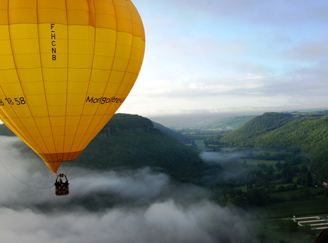 To say " I love you " onboard a hot air balloon while gently drifting away above an enchanted Perigord...is probably the most romantic way to start a beautiful relationship! The exclusive flight is the perfect occasion for an unusual declaration of love. A private flight to celebrate an unforgettable birthday, that's how our customers like to blow their candles! 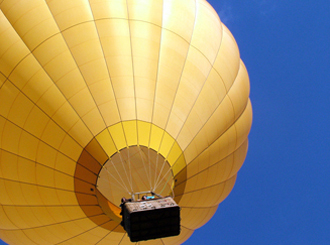 Celebrate a wedding anniversary, a birthday or a special moment with up to 6 of your friends onboard a balloon. Make the best moments of your life unforgettable. 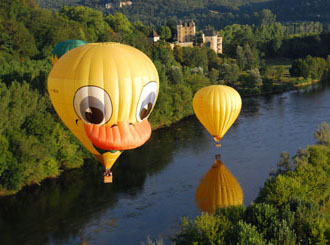 What is more special than a balloon ride above castles and a meandering Dordogne? You'll find our Private flight perfectly suited to share and enjoy with family, friends or colleagues all of those happy and meaningful moments. To learn more about our Private flights, go check our Packages and pricing, or Contact us!